It’s been just over a year since AMD started clawing back at Intel in the entry level to lower midrange segments with it’s 780G integrated graphics platform. During the beginning of this time period, AMD was still relying on ageing Athlon 64 X2 processors to stay in the game and it was this chipset that bought AMD a considerable amount of time by offering affordable motherboard solutions with integrated graphics that run circles around Intel’s G31/33/35 resulting in a comparably priced computer that was faster overall. It was also said that all 780G motherboards would support future 45nm processors, which they did leaving customers with a solid budget performer that had the scope to be transformed into a high end system. It certainly wasn’t lacking in other departments with 5.1 channel sound over HDMI, RAID and the ability to implement plenty of SATA II and USB ports. Even today, the motherboards based on the 780G/SB700 are popular choices but of course there’s always scope for improvement – and cue the AMD 785G. Like the AMD 780G, motherboards based on this chipset will appear in different shapes and sizes and with different features. Today we’ll be putting a performance orientated version of the platform through it’s paces to see just how good AMD’s latest mainstream offering can be – The Asus M4A785TD-V EVO. I personally don’t feel the need to write a lot about Asus as their reputation for quality computer components, desktops and laptops really do speak for themselves. 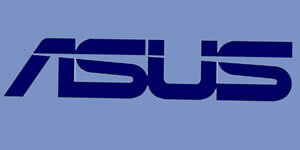 Founded in 1989, Asus has a long established design team and understand their customer bases well. They’ve previously released some impressive mid range solutions and already have a range of popular and capable Socket AM3 motherboards. Will this motherboard complement Asus’ existing M4A product lineup or is it a lemon? Has it got what it takes to perform against other 785G competition? Let’s find out. The first observation that you may have observed is that this is a Socket AM3 motherboard, offering DDR3 support up to DDR3-1866 (OC), a step up from it’s predecessor which only came in Socket AM2+/DDR2 format. Also, while AMD does not formally support ATi CrossfireX on this chipset, Asus has implemented a second PCI-E 2.0 16x slot, offering Multi GPU support in a restricted 16x/4x mode. While this is less than ideal, 16x/4x shouldn’t cause a noticeable performance loss for middle of the road graphics cards like Radeon HD 4770’s in CrossfireX. Aside this, Asus has implemented solid state capacitors, an extra 2 phase power regulation for the CPU, a robust cooling system, a full host of software utilities and Express Gate operating system. With much to see and test, I invite you to click away to the next page!